If you have Leukemia you may qualify for disability benefits. Leukemia is a type of cancer that develops in bone marrow. Healthy bone marrow produces stem cells which become white blood cells, red blood cells and platelets. 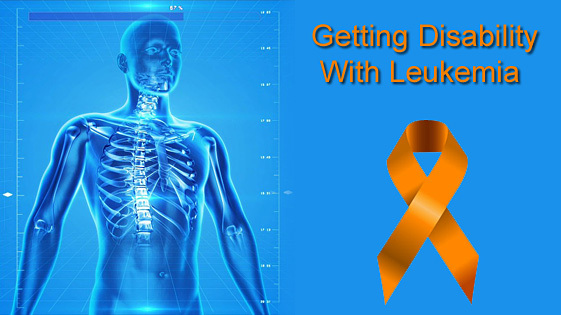 Leukemia is characterized by cancerous bone marrow which produces abnormal cells. Leukemia is surprisingly common. 1.5% of Americans will be diagnosed with Leukemia in their lifetime. It is the tenth most common form of cancer, accounting for 3.5% of new cancer cases. In children however, leukemia is nearly a third of all new cases. The survival rates are similarly unsettling. While children survive the disease at a rate of nearly 90%, less than 60% of adults are still alive five years after being diagnosed with Leukemia. This makes it the 7th most lethal form of cancer. Leukemia often goes undetected in the early stages because it does not cause obvious symptoms. The symptoms of leukemia are flu-like, including fever, fatigue and loss of appetite. As the disease progresses, excessive bone marrow expansion may result in joint and bone pain. A low platelet count is another common symptom of leukemia. Platelets are responsible for blood clotting, and not having enough results in frequent nosebleeds, easy bruising and difficulty healing from cuts. A low platelet count also results in red spots on the skin as blood vessels rupture and don’t repair themselves without platelets. If you have been denied disability for leukemia don’t give up. 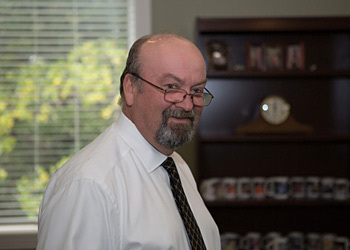 Contact the experienced Texas social security lawyer Greg Reed at 512-454-4000. There are many variations of leukemia, distinguished by the different cell abnormality produced. Variations of leukemia are first classified by their progression- either acute (rapid) or chronic (slow). Secondly, they are classified by the type of blood cell they affect. Lymphocytic leukemia is defined by abnormal white blood cells (lymphocytes), while myelogenous leukemia affects red blood cells. Acute Myeloid Leukemia (AML), for example, would be the abnormal rapid reproduction of red blood cells. Within AML there are 7 sub-types defined by the exact type of cell affected. Even though leukemia does not often show signs early on, it almost always results in frequent doctor visits, long hospital stays, and extensive treatment regimens. It can be impossible to continue working while undergoing constant treatment. This is why a diagnosis of some types of leukemia is considered an automatic approval for Social Security Disability Insurance benefits under Social Security’s bluebook. Any type of acute leukemia is considered a disability for 2 years from the date of diagnosis, and certain types of chronic red blood cell leukemia are considered a disability for 2 years as well. Contact a Social Security lawyer at 512-454-4000 for a free consultation and see if you can get disability benefits for Leukemia. If you have been denied disability don’t give up! Acute leukemia is a compassionate allowance, meaning that claims for acute leukemia are expedited. It is very rare that someone with acute leukemia would have trouble being approved for benefits. If you have applied for Social Security Disability Insurance with leukemia and been denied, then you will need to appeal your case. The Social Security Administration denies claims by default- nearly two-thirds of initial claims are denied. Having an attorney on your side can help with your appeal. The attorneys at Bemis, Roach and Reed service central Texas, including Dallas, Austin, and Houston. If you or someone you know has been denied Social Security Disability Insurance or Long Term Disability Insurance benefits, contact a Social Security Lawyer at Bemis, Roach and Reed for a free consultation today. Call 512-454-4000 and get help NOW. Do You Need Help Applying for Disability Benefits in Austin, Texas?